An estimated 43 percent—249 million—of children under five in low-and middle-income countries are at an elevated risk of poor development due to extreme poverty and stunting, according to findings from The Lancet’s Series, Advancing Early Childhood Development: from Science to Scale. 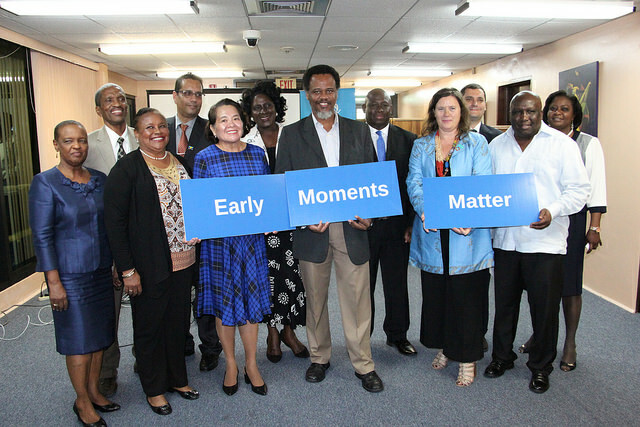 The Caribbean Regional Launch of the series took place immediately following the 32 Meeting of the Council for Human and Social Development COHSOD on Education, and was hosted by the United Nations Children’s Fund (UNICEF) in collaboration with the Caribbean Community (CARICOM) Secretariat. The Series reveals that early childhood development interventions that promote nurturing care—health, nutrition, responsive caregiving, security and safety, and early learning—may cost as little as 50 cents per child per year, when combined with existing services such as health. “The science and economics are clearly on the side of investing in the first 1,000 days of a child’s life. The cost of not doing so is higher. Children fall behind long before they set foot in school. Individuals are estimated to suffer a loss of about a quarter of average income per year as adult. For countries, they may forfeit up to two times their current GDP expenditures on health or education. The time to act is now” said Sylvie Fouet, Representative of UNICEF Guyana and Suriname, speaking at the launch. The findings in this Series underscore the importance of increased global commitment to early childhood development. The consequences of inaction impact not only present but future generations. In the region, there is less public provisioning for early childhood education, especially for the 0-2 year age group, as opposed to the pre-school years. The uneven funding distribution across sectors is striking; expenditure on pre-primary as share of government expenditure on education is only 2.9% compared to primary at 34.9% and 40.3% for secondary education. Research shows that a child’s brain develops faster in the first 2-3 years than at any other time in life. These early years are also a critical period of adaptability and responsiveness to interventions. When young children are deprived of nutrition, stimulation, and protection, the damaging effects can produce long-term detriments for families and communities. “Nurturing care is the basic right of every child. The stark realities outlined in The Lancet Series demand the urgent elaboration and implementation of coherent policies for early childhood development. These, in turn, require inter-ministerial and inter-agency collaboration, as well as public and private sector cooperation, in order to propel our countries toward the achievement of sustainable development.” said First Lady Sandra Granger who attended the launch. The authors stress the strong position of the health sector in providing an entry point for early childhood interventions—especially in support of nurturing care. The sector’s ability to access women and children during the critical period from conception through early childhood presents an opportunity to integrate low-cost interventions into existing maternal and child health and nutrition services. These have shown to help improve the quality of nurturing care and the overall development of young children, while also giving attention to the wellbeing of the caregiver. One of the authors of the series, Professor Rafael Pérez-Escamilla, Professor of Epidemiology & Public Health, Director of the Office of Public Health Practice, and Director of the Global Health Concentration at the Yale School of Public Health, presented the research findings and recommendations to Ministers of Education from several CARICOM member states, as well as Regional Education officials at the COHSOD Meeting. “Especially compelling was the fact that the author pointed out that the first 1000 days of the child’s life were the most critical. In other words, if the child is not afforded adequate and sufficient stimuli, that child is already disadvantaged against his counterparts in any part of the world. The report also went on to note that a staggering 43 percent of children under five years of age, that is, an estimated 250 million worldwide are at risk of suboptimal development due to poverty and unsafe and unhealthy environments and learning opportunities. That is an astounding figure and must be a source of concern to all governments”, CARICOM Assistant Secretary-General for Human and Social Development, Dr. Douglas Slater recalled. “I am heartened that such information was presented at the Thirty-Second COHSOD because it was the place where the Region’s HRD Strategy was being crafted. We will all agree that such information must make us uncomfortable and therefore, seek urgently to rectify the apparent ills in our system,” Dr. Slater added. The Series authors propose several ways the global community can scale-up support for early childhood development services by: • Encouraging the adoption and implementation of policies to create supportive environments for families to provide nurturing care for young children. • Building capacity and strengthening coordination to promote early childhood development through existing health, nutrition, education, social, and child protection services. • Strengthening measurement and ensuring accountability for early childhood development services. 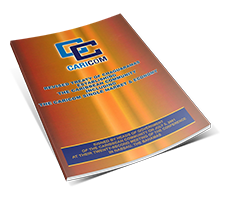 • Increasing research, and fostering global and regional leadership and action. • Expanding political will and funding through advocacy for the Sustainable Development Goals (SDGs).